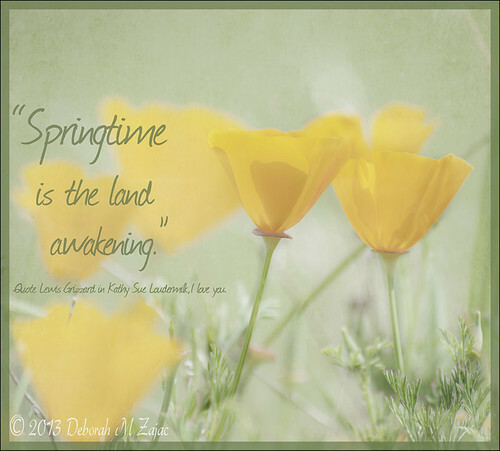 “Springtime is the land awakening.” Quote Lewis Grizzard in Kathy Loudermilk, I love you. "Springtime is the land awakening." Quote Lewis Grizzard in Kathy Loudermilk, I love you., originally uploaded by CircadianReflections Photography. A photo I took a few weeks ago while hunting wildflowers with Rainey, and Rene. Love the soft focus and muted colors.